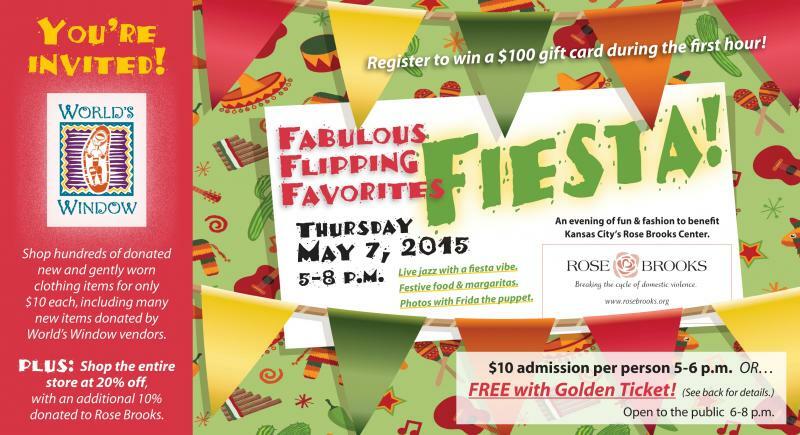 1) Bring one or more excellent quality new or used item(s) to World’s Window now through Monday, May 4th, and receive a “Golden Ticket” for free entry to the shopping event on Thursday, May 7. 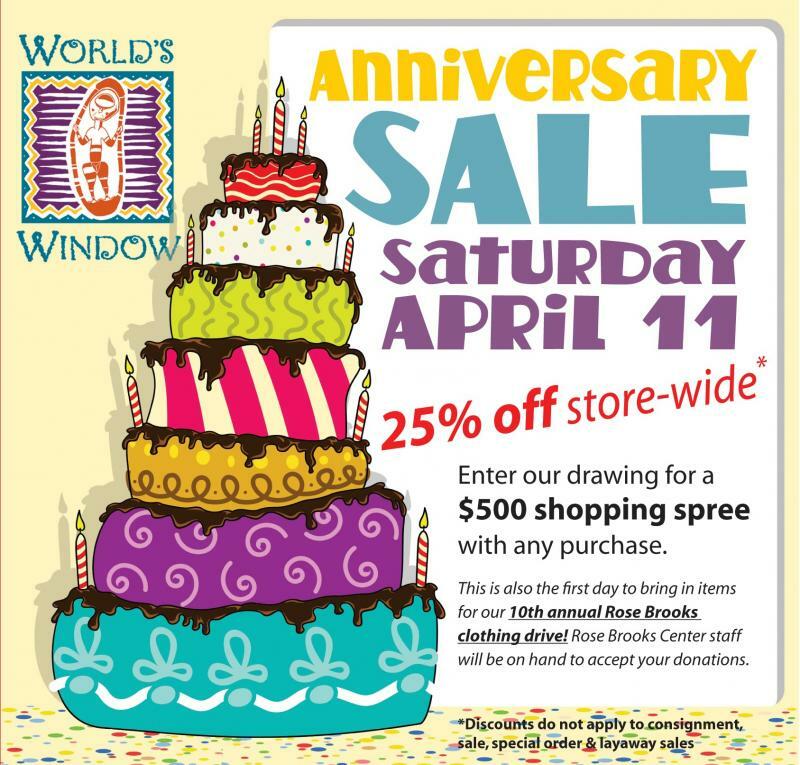 Your Golden Ticket will also be your entry for a drawing for four $50 World's Window gift cards. Our World's Window continuing year-long thirtieth anniversary has celebrated that "The Joy is in The Journey." Of course there are and have been many, many kinds of journeys in the life of our store experience. Not all journeys come full circle, but these three do. Party like it's 1984. Champagne, sangria and other munchies; fabulous jazz; wonderful Rose Brooks volunteers and 80's-decked-out World's Window staff party-ready for all our amazing shoppers. From armfuls of clothing to our mass dressing room where swapping fashions happened all evening, it was a rollicking good time for a great cause. And with enthusiastic participation from all who attended, we raised over $2700 for Rose Brooks!